Our youngest members are gently introduced to age-appropriate Taekwondo concepts and movement in a fun and flexible environment. Using the framework of the core philosophy of Taekwondo, our teaching is focused on shaping our youngest students’ behavior, character, and gross motor skills. This class provides an introduction to the basic techniques of blocking, kicking and forms, while increasing strength, flexibility, coordination and cardiovascular fitness. Our beginners are motivated to set short and long-term goals to achieve the ultimate goal of earning a black belt. At Polaris Taekwondo, our students are taught that through dedicated, intense work, any goal in life is achievable. After successfully learning the basics of blocking, kicking and forms, your child’s time in Taekwondo will become more intense and exciting! We understand the need for discipline, as well as fun, in working with our young people. Students will learn effective kicking and punching techniques as well as proper etiquette as young ladies and gentlemen. We do this by focusing on the tenets of Taekwondo (courtesy, integrity, perseverance, self-control and indomitable spirit) while teaching our classes. This advanced program offers basic and advanced sparring classes and the opportunity to compete locally, regionally and nationally. Effective and simple self-defense techniques are also included in this class. We believe all students should have the confidence and ability to protect themselves in any situation. 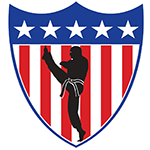 Students participating in this program have won 14 National Championships and have earned over 800 gold, silver and bronze medals since 2008, making Polaris Taekwondo the must successful studio in the greater Columbus area. Want a kickin birthday party?